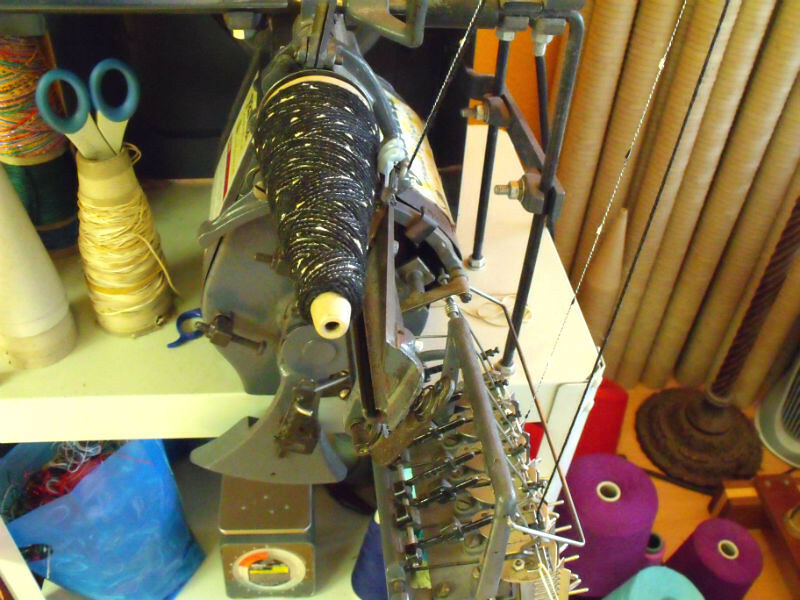 Home » store highlights	» Got Yarn? 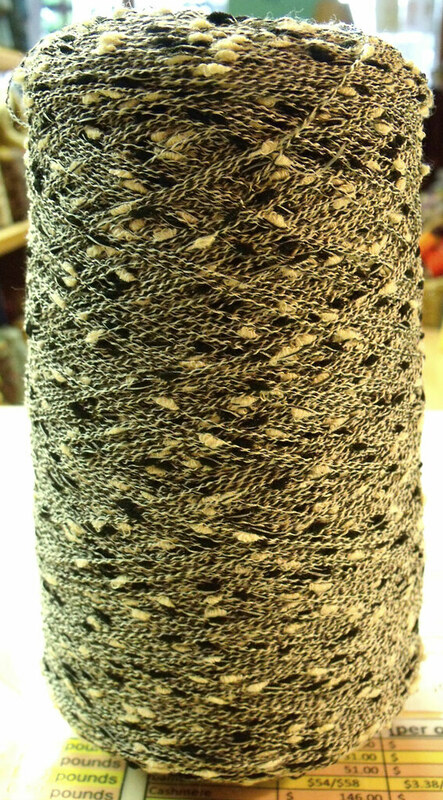 Earlier today a customer came in with some dark charcoal grey Cascade 220 she had bought to use as stripes in a long jacket she was working on. It made a nice contrast with the other yarn she was using, but she said, it wasn’t quite doing it for her. She wanted to combine it with an extra little something that would make the fabric more interesting. Can we do that? She asked. 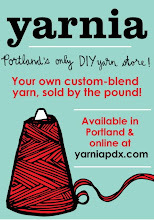 Here’s the deal: if you have your own cones of yarn at home that you’d like wound together with each other, or with anything we have here in the shop, just bring them on in and we’ll wind up as much as you want, for only a penny per yard. 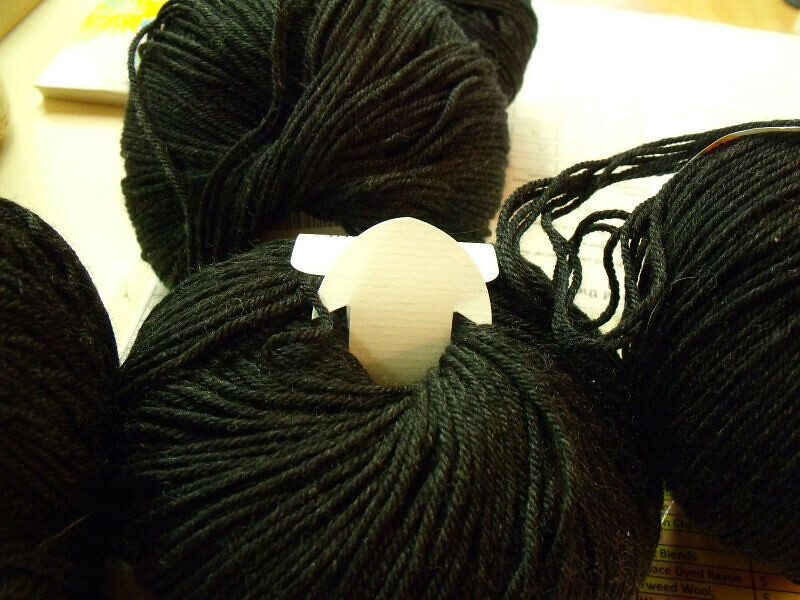 Things do get a little trickier when the yarn you want to combine is not on a cone, but rather in a skein, hank, or ball (as was the case with our customer today). But, trickier doesn’t mean impossible! 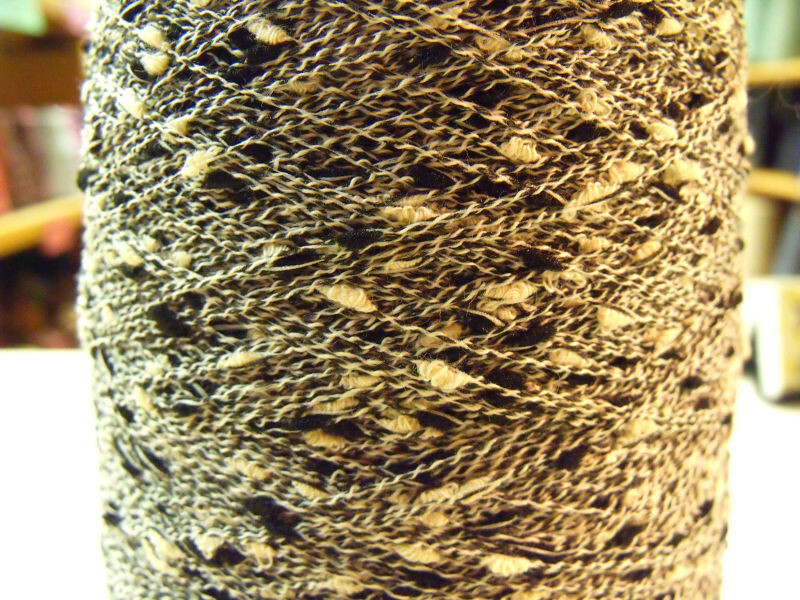 All it means is that before we wind your yarn together with something else, we’ll need to manually put it onto a cone first. Because of this, we do charge more for the service (4 cents per yard), but as you’ll see here, the results can be stunning. 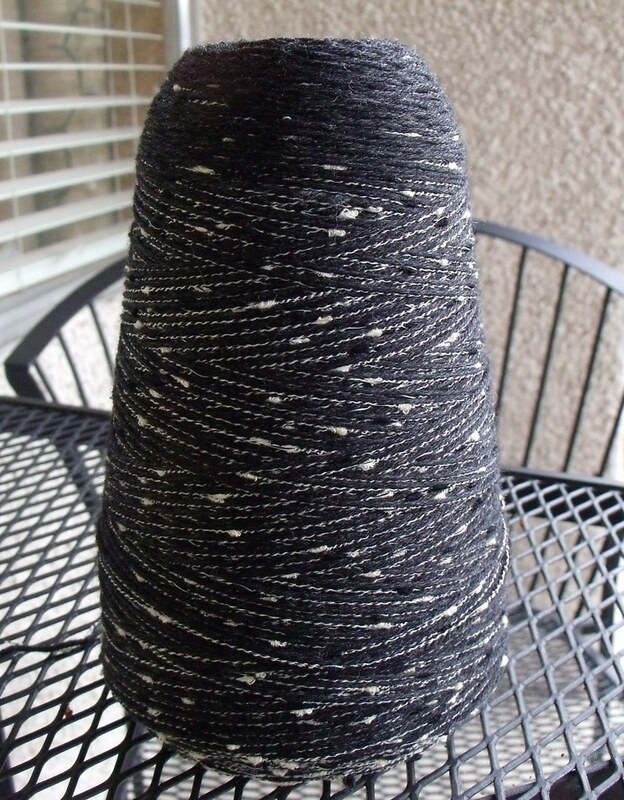 We started with about 1,000 yards of Cascade 220 (pictured above). And here’s what she wanted to mix it with: a single strand of a novelty acrylic. 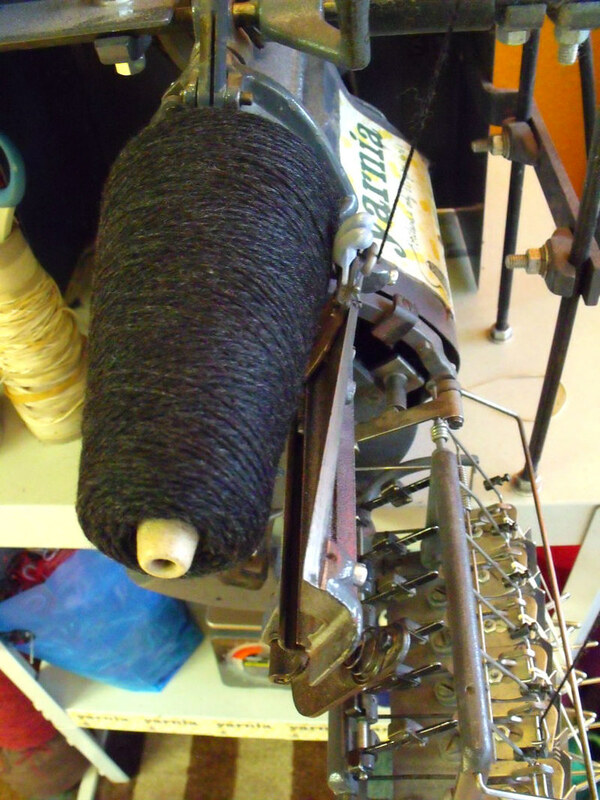 As you can see, it’s both tweedy and a little bit nubby, which will give her finished yarn a great texture. 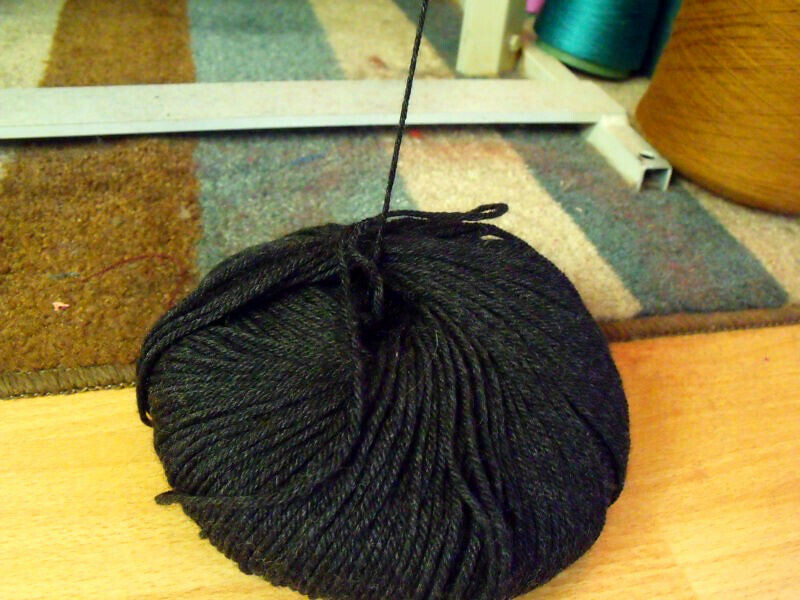 First things first, we need to carefully wind her yarn from the ball onto a cone. Then, once the full 1,000 yards is on a cone, it’s ready to be wound together with Yarnia’s yarn, just as if it were one of our own. Fits right in, doesn’t it? Et voila! One thousand yards of finished yarn, now in a much more interesting colorway and texture!